Exceptional quality photo gifts with unique & modern designs in Store or Online. At Pixels Plus we have a large range of gifts available, that are always expanding. Receive 10% Off on all Online Orders, Just enter the code "Pixels" on checkout. This Service is for all online gifts & creative products. It operates in a similar way that an in-store Photo Kiosk does. 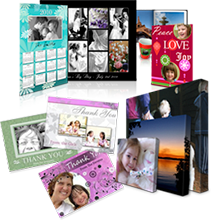 Please Note: All Online Photo Gifts and some Creative Products take up to 10 working days. So please take note for special occasions like Mother's Day, Father's Day and Christmas. Pixels Plus do not refund on any online Products unless we no longer stock the product. If unsure of delivery time please call us to get an accurate time for competion of your order. We currently do not deliver, pick up in store only.